Imagine: a police officer in northeast Georgia pulls you over because he sees you are not wearing your seat-belt. He walks up to the car and starts talking with you. You have had a few beers with dinner and are headed home. The officer smells the alcohol on your breath and asks if you’ve been drinking. He asks you to step out of the car and blow into a box which he calls an Alco-Sensor device that is supposed to read your BAC (blood-alcohol content) and your breath registers a .03. This is the preliminary breath screening that police officers used to determine initially whether or not the suspect is impaired and under the influence. This is what is known as a “P.B.T.” and is administered and taken on cite on the side of the road. The readings of the P.B.T. can play a major role in whether or not a driver gets arrested, the numeric readings cannot be held against him or her in court and cannot be used as evidence in the state of Georgia. This is weird. How can the results not be admissible but the officer can use them to determine whether or not to arrest. For an answer to this question, call Sam Sliger at McDonald & Cody, LLC. The arresting officer, who is usually the officer that administered the test, is allowed to testify whether or not the results were positive or negative when the case is heard. Even without the actual numerical use of the P.B.T. reading, its results set grounds for an investigation by the officer whether or not a suspect is under the influence. Most of the time, the numerical reading is what either gives the officer the go ahead or lets an officer end a DUI investigation. This was not the intention of the test when it was created, but in Georgia, Hall County officers have stated that it is hard to turn away from a number that is right in front of their eyes. In fact, an officer’s judgment is swayed one way or the other based upon the number from the P.B.T. and makes them biased to the other field sobriety tests that are administered. The officer should administer and consider all the field sobriety tests prior to the P.B.T. so their judgment does not become biased. Should a DUI suspect take a P.B.T.? The Alco-Sensor test is unreliable and should never be taken. The test cannot determine between residual mouth alcohol, consumed alcohol or other things like acetone. People often get the Alco-Sensor test that is administered roadside confused with the breathalyzer test that they take whenever they get to jail. There are two separate tests; one is on the side of the road where you blow into a box that the officer is holding, and the other is in a machine at the jail in an intox room. When a person is arrested, the officer reads the Georgia Implied Consent Warning and at the end of the warning, the accused is asked, “Will you submit to the State administered chemical test of your breath under the Georgia Implied Consent Law?” This State administered test is mandatory, unlike that of the field sobriety tests and Alco-Sensor administered test, which are voluntary. If the mandatory State test is refused, that is grounds for a hard, one year license suspension, which means your license will be gone and you will not have any driving privileges for a year and the fact that you refused the State mandated test will be used as evidence whenever you go to trial. 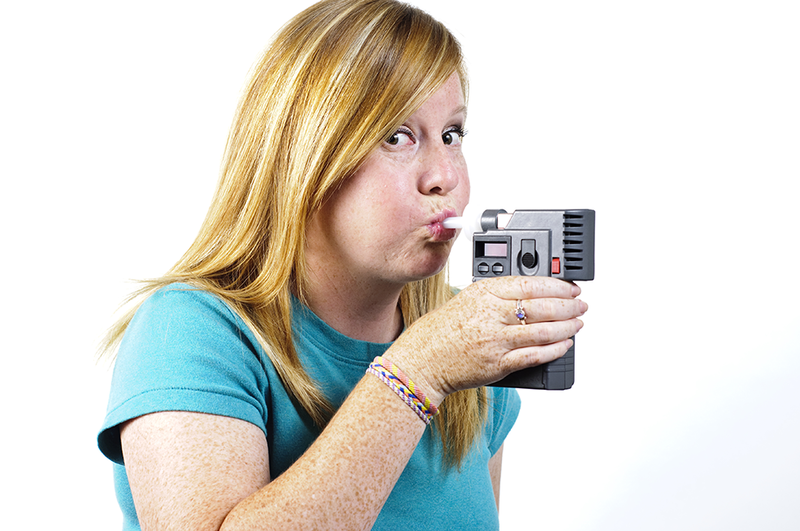 A breath test resulting from a .05 grams or lower (for someone who is 21 or older), gives the impression that that person was not impaired at the time of the administered test. A result of .05-.08 grams does not create a biased judgment of impairment or lack there of. The jury will be the one to decide based on the evidence presented by the State and the defense. A breath test that results from .08 grams or more is judgment for impairment. The common terminology for the .08 reading is the “legal limit,’ however, a person can be charged with a DUI even if their breath test results are lower than .08. In this case, the charge would be “DUI Less Safe” and the State would have to present evidence that would prove to a jury that the person being charged was not safe to be operating a vehicle in the condition they were in. What should I have done after taking the test at the jail? Ask for another test of your choosing. Georgia law does allow someone to request an independent chemical test after the mandatory State breath test has been administered. When the officer is reading that tricky orange card and the only thing you hear is “I am going to lose my license if I refuse” if you listen closely the officer says that after you take his test you can request your own. The suspect gets to choose which test he or she would like to have done. This does not mean that the suspect can tell the officer what test he or she will or will not take. You must take what the Officer asks for when he is reading from that orange card. .. After taking the test, the officer chooses when a suspect can request an independent test and gets to choose the test he or she would like to have administered to him or her. The key fact here is that the accused does not have the initial choice. It is the State breath-test first and foremost, then the test of the officer’s choice and then the test of the suspect’s choice. If you would like to speak with an attorney, please contact Sam Sliger in the criminal division of the law firm McDonald & Cody, LLC. Do not take the P.B.T.! The numerical readings of the P.B.T. will not stand as evidence at trial, but the officer can say whether or not they were positive or negative. A suspect of DUI should never take a P.B.T.! The only State test that is mandatory is the breath test that one takes when he or she gets to jail. People confuse the Alco-Sensor test with the State breath test and they are not the same test. The readings of the State breath test are broken down and what the legal limit is. DUI suspects can request an independent chemical test only after he or she has completed the State mandatory test and a separate chemical test of the officer’s choice.